Welcome in our official website! Welcome in Kenya! Karibuni is a swahili word means just "welcome". In this website you can visit PAKA HOUSE, dream Africa lifestyle, discover the wonder sites where the house is located, receive information and book your fantastic holiday in Kenya! Paka in Kiswahili means "cat". The makuti roof shape of the building and its "ears" inspired us to choose the name of this beautiful holiday house. Waridi is a very nice flower that we know as "frangipane". 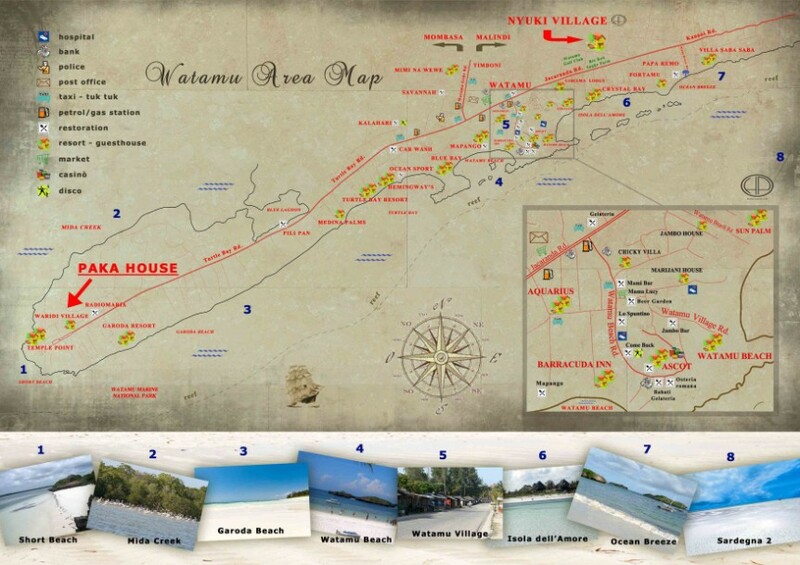 Surrounded by fragrant waridi and bougainvillea, Waridi Village is a nice residential complex located in the center of the beautiful Mida Creek peninsula, just on the main road, halfway between Garoda Resort and Temple Point in Watamu. The residence is located 300 meters from the beautiful beach of the Temple Point (Short Beach), a candid jewel among the corals, and around 500 meters from the white sand Garoda Beach. Paka House is located into the new residential complex named Waridi Village (of which I am the designer and builder), which consists of 11 apartments in 6 buildings around the swimming pool. 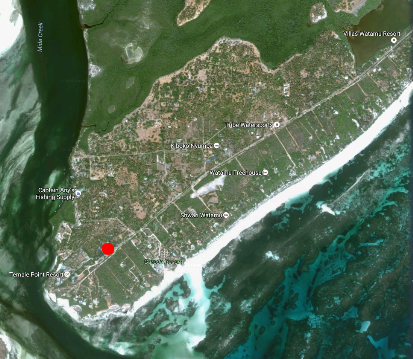 You can reach the location from Mombasa (by air with Ethiopian Airlines, Turkish Airlines, Kenya Airways, Fly 540, Meridiana, KLM...) by taxi (about 2 hours) or from Malindi (by taxi, matatu or tuk tuk, for about 20 minutes). It is advisable to take advantage of our taxi service.